Suffolk County District Attorney Dan Conley. In the midst of the Commonwealth’s most consequential debate over criminal justice reform in a generation, it is important that every major player have a voice. Suffolk County District Attorney Dan Conley apparently does not agree. Beacon Hill is weighing a series of substantial changes, including bail reform, checks on the use of solitary confinement, and a repeal of mandatory minimum sentencing laws. It’s that last effort that’s raised the ire of Conley and other district attorneys around the state, who argue that mandatory minimums are an important tool for cracking down on some of Massachusetts’ worst offenders. They are free to make that argument, of course — to push back on advocates who say the laws are too rigid and punitive. But Conley went too far at a recent conference at Boston College Law School when he suggested that his most prominent antagonist in the fight — Ralph Gants, chief justice of the Massachusetts Supreme Judicial Court, and an outspoken advocate for restoring judicial discretion in sentencing — should dial it back. In a follow-up interview, he said the duty to stay out of politics is particularly pronounced in Massachusetts, where judges are appointed, not elected. “We give them that sort of life tenure, if you will, so that they will, in fact, stay out of the political process — they will hold themselves out as just independent arbiters of the law,” he said. But even if there is a higher standard in Massachusetts, it’s clear that Gants has met it. Gants’s advocacy may be more pronounced than that of recent chief justices in Massachusetts, but it’s not unusual by national standards. Research by the National Center for State Courts shows chief justices in Maine, New York, Missouri, and Georgia have called for sentencing reform at various points in the last couple of decades. On the federal level, several judges have spoken out against mandatory minimum sentencing laws. Supreme Court Justice Anthony Kennedy has testified before Congress about their flaws, and US District Judge Jed Rakoff called them “pernicious” in an article in The New York Review of Books. Judges have had limited success in convincing lawmakers to roll back mandatory minimums. And here in Massachusetts, Gants may not fare any better. 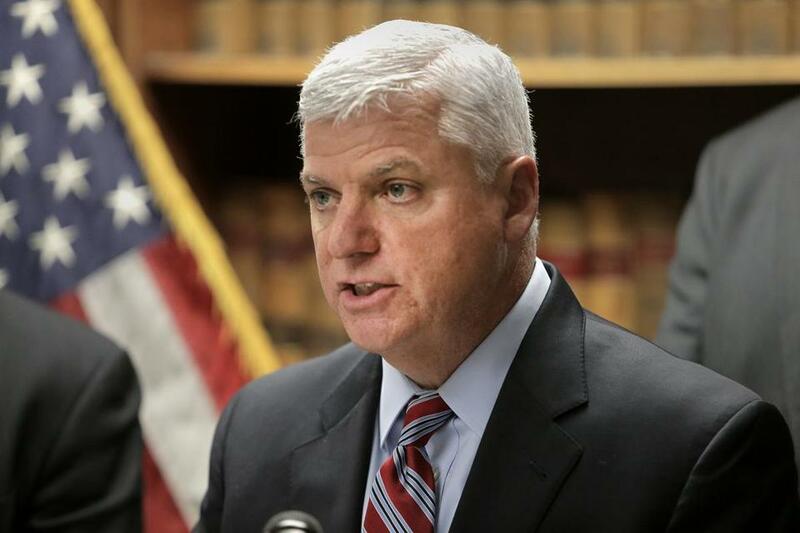 The district attorneys are a powerful force in the state Legislature, and Governor Charlie Baker has made it clear he has a limited appetite for criminal justice reform. But this is an issue that should be vigorously debated. And there is nothing untoward about the chief justice of the state’s top court playing a central role in that debate.